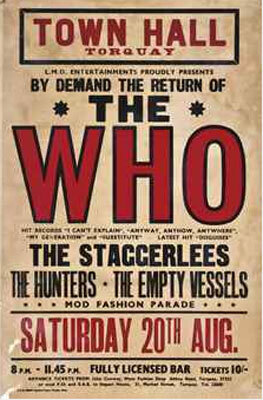 Got a few quid to spare? Or just a few minutes? Either way, the Christie’s Pop Culture auction is worth browsing. 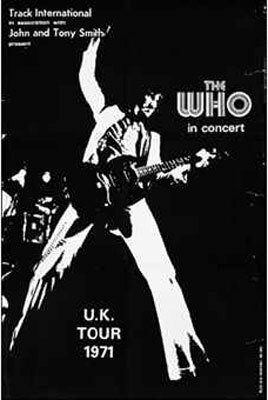 Plenty of items to pick from, mainly (but not exclusively) focusing on music – and if you are a fan of The Who, there’s a lot here to appeal. Everything from a vintage suited owned by Pete Townshend through to John Entwistle’s old bass guitars, a drum knit signed by Keith Moon and Moon’s own briefcase, with much more besides. 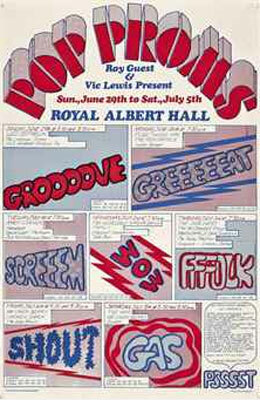 But the posters are perhaps some of the more interesting lots. 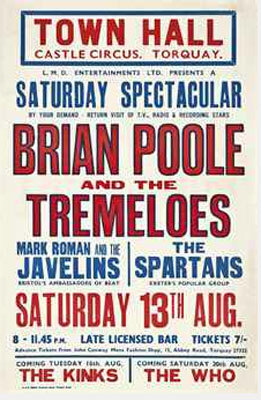 This is a fairly general poster, with the band ‘coming soon’ to Torquay (£1,000 – £1,500). 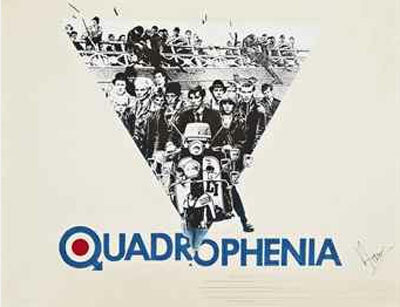 Concept artwork by Vic Fair for Quadrophenia, mixed media on paper laid down on card, signed by Vic Fair (£600 – £800). 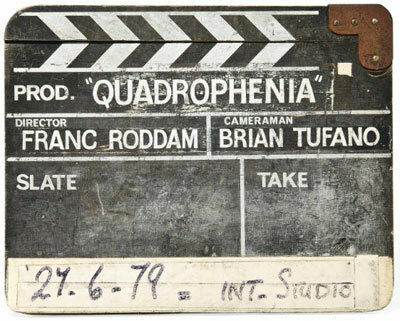 There’s also a clapperboard from Quadrophenia up for auction too, pictured at the top of the page. 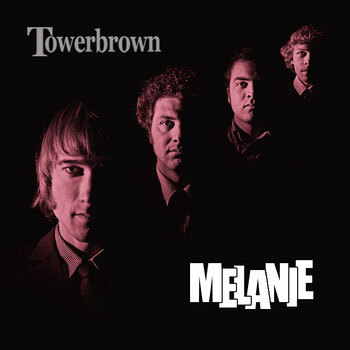 Check out these with better quality images on the site, as well as all the other lots. 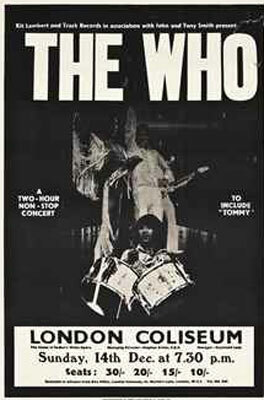 The auction takes place at Christie’s South Kensington in London in 12th June 2012.